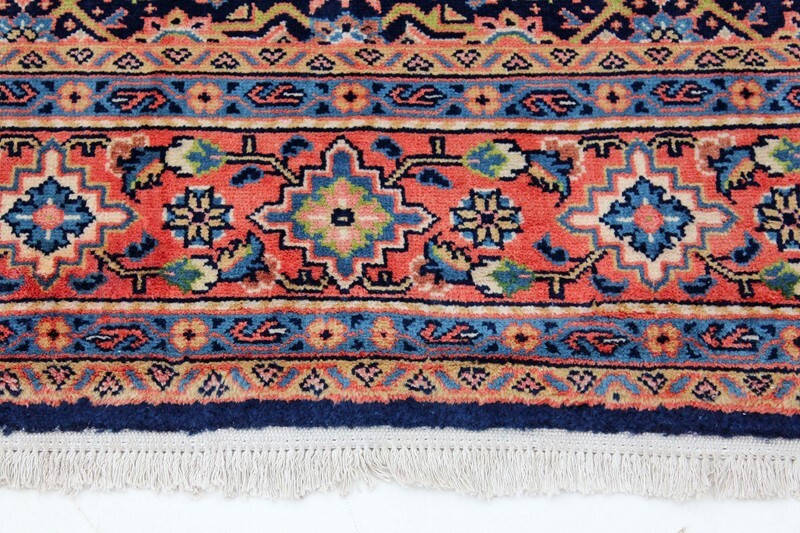 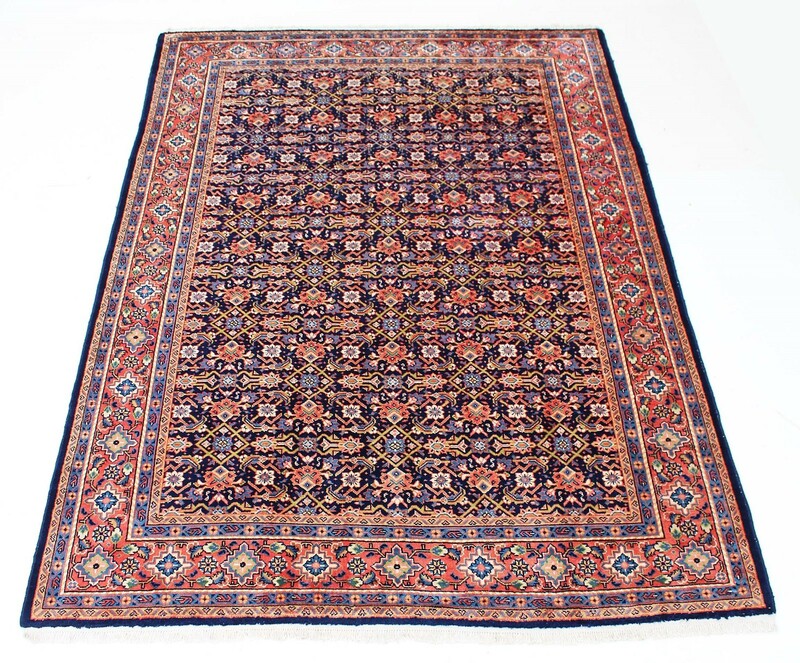 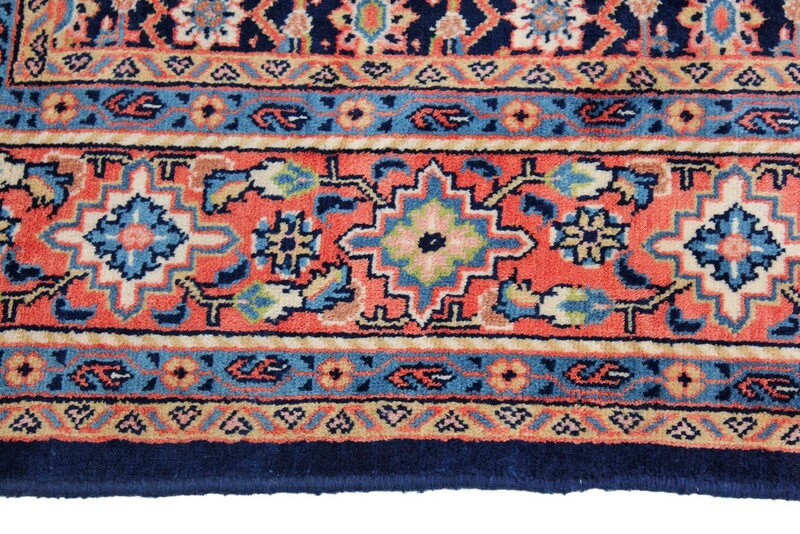 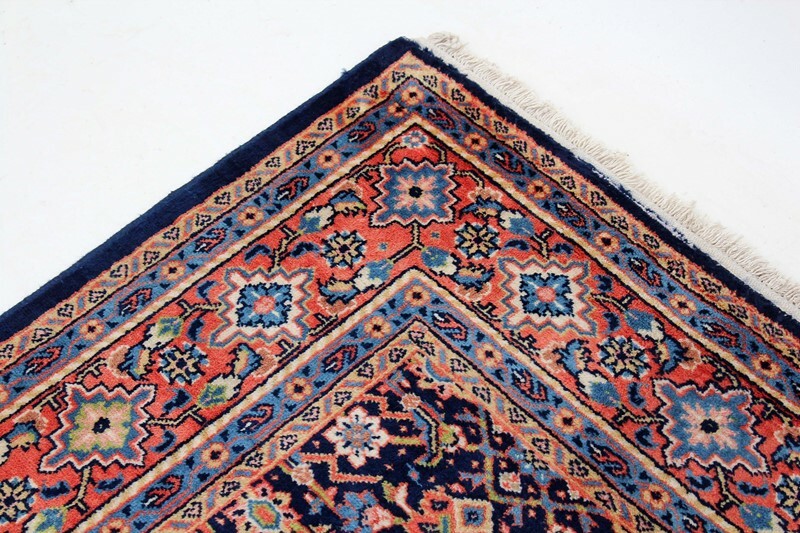 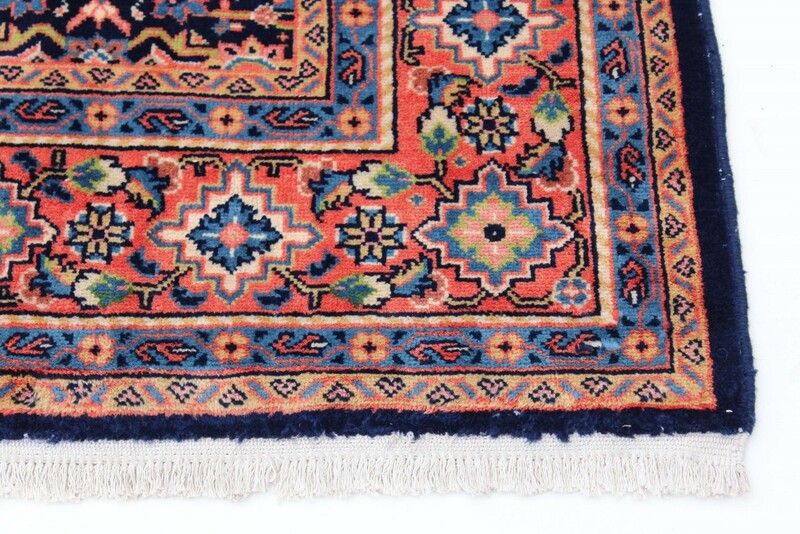 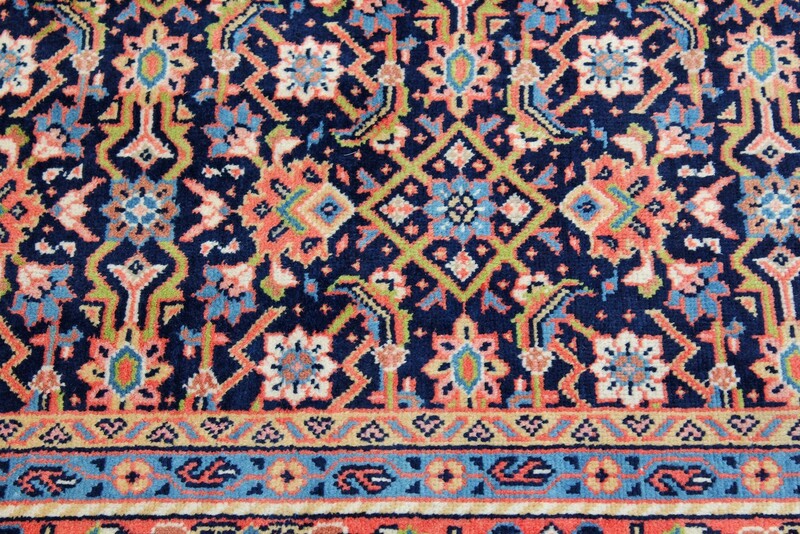 Persian hand woven wool rug carpet, blue and terracotta ground ~7'4" x 10'. This is a lovely quality item, that is quite rare and unusual..... a good pattern and colours. 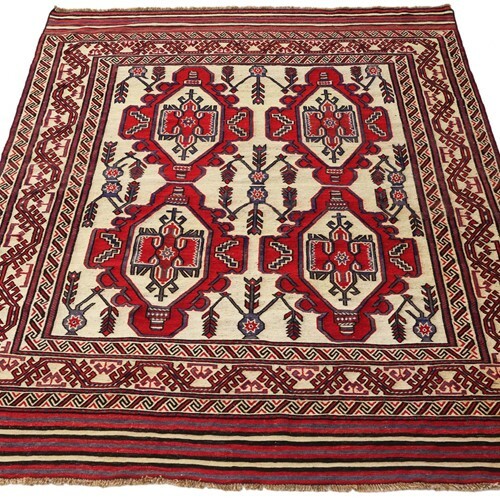 Overall maximum dimensions: 220cmW x 312cmL (inc. tassels). 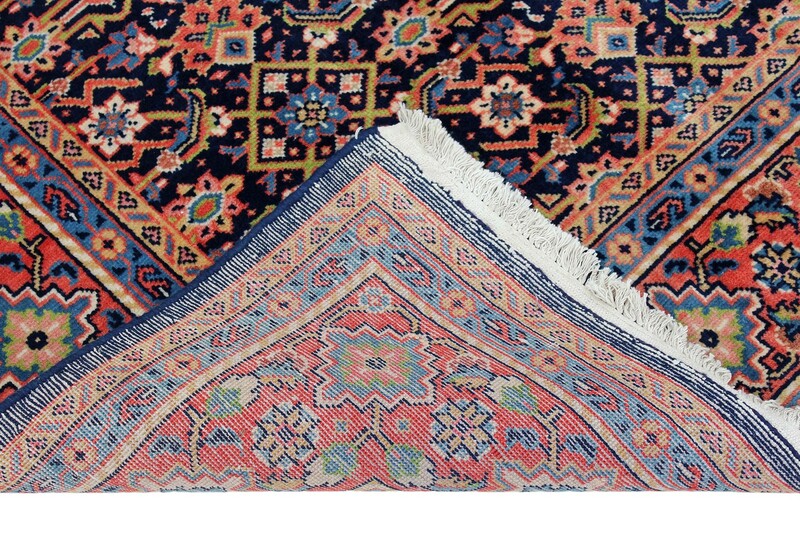 The rug has light wear, minor marks and imperfections....nothing bad.